The use of lubricants is necessary to ensure the correct operation of satellite mechanisms. The mechanical parts of a satellite are often associated with critical functions, such as the deployment of solar panels to provide electrical power to satellite batteries by capturing sunlight. 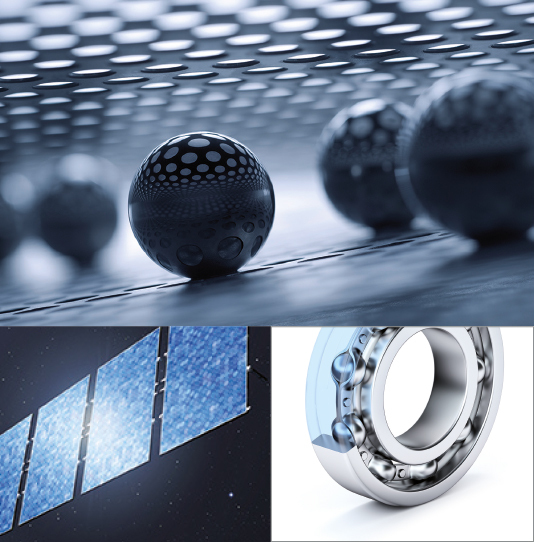 Lubricants used in space must therefore ensure the primary function of lubricating mechanisms (ball-bearing systems, etc. ), while at the same time having properties adapted to the space field: low outgassing and resistance to high vacuum, operating over millions of cycles without ever deteriorating, use in very wide temperature ranges, etc.